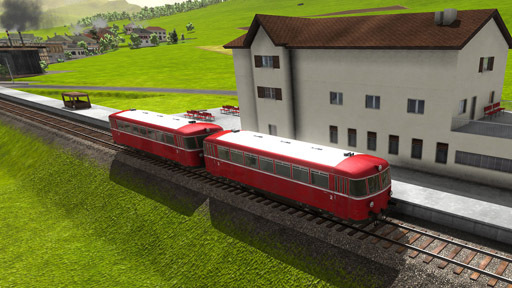 The legendary railway was known as the Spanisch-Broetli-Bahn, named after a specialty of Baden, Switzerland. 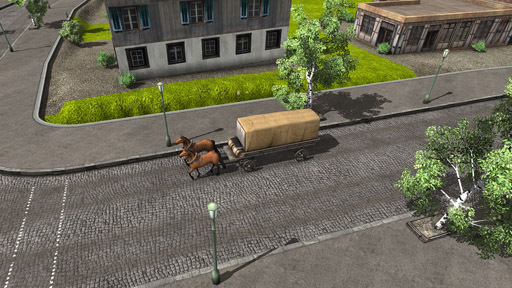 In the 19th century most carts were pulled by horses, in order to be able to transport heavy freight items. Very common in the early days, travelling with carriages was easy and comportable for that time. 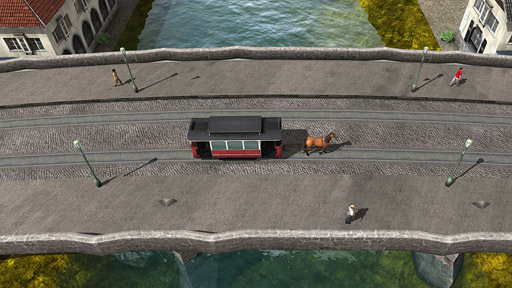 The horse-drawn street car combines the low operation costs of horses with the all- weather capability of street cars. Borsig was a German company based in Berlin. This 1860 model was an early one without a roofed cabine. 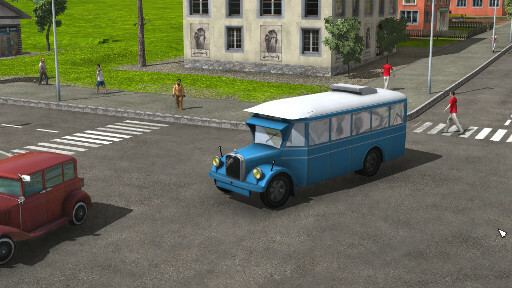 Invented from Amédée Bollée in Le Mans, France, L'Obéissante was a steam-driven bus with a (theoretic) top speed of 40 km/h. In addition to horse street cars and steam buses, also steam street cars came up towards the end of the 19th century. The Class 53 G 3 locomotives have been widely used for freight transport by the Prussian state railways. Together with the Prussian T 2 locomotives these 0-6-0 tank locomotives were the first that were built to railway norms. 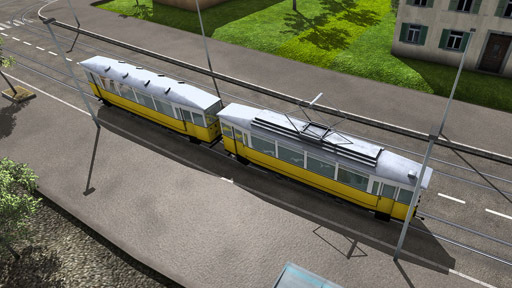 Twin axle electrical tram with open platforms on both ends used by Stadtbahn Halle, Germany. The world's first engine-driven omnibus was built by Carl Benz in his family enterprise by handcraft. The Mack brothers introduced this bus in 1900. The vehicles racked up a million miles of service. An early electric street car built and in operation in Schaffhausen, Switzerland (the home town of the developers..). 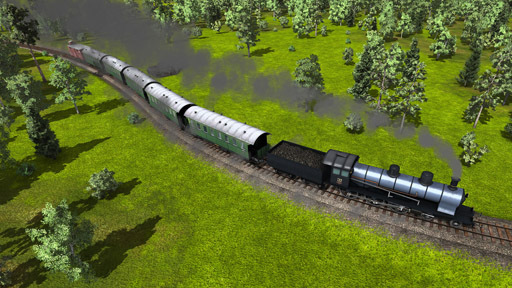 A classic express steam locomotive which reached a top speed of 100 km/h. Widely used for passenger transport. 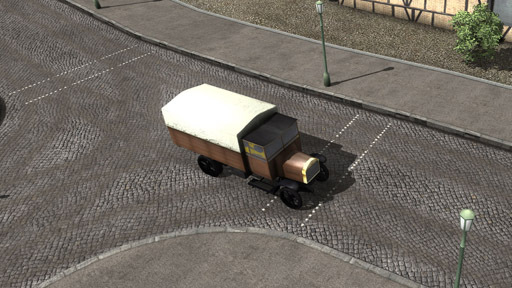 One of the first common engine driven trucks with a top speed of 25 km/h. A German steam locomotive constructed by Maschinenbau-Gesellschaft Karlsruhe and Jung. 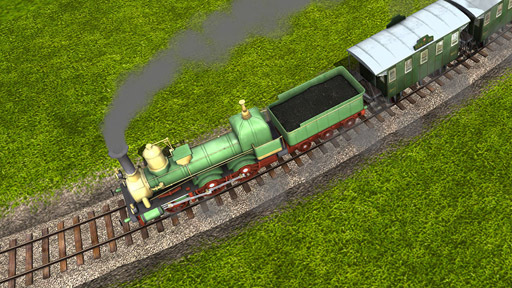 Crocodile locomotive with two long "noses", which are connected by an articulated center section. A double-decker bus with an open top deck originally manufactured for city transport in Berlin, Germany. The Ae 4 / 7 was a universal locomotive of the Swiss Federal Railways, employing the so-called Buchli drive. The Gothaer fabric located in Gotha, Germany, constructed this street car in 1928. It was in operation until 2006. Opel Blitz was the name given to various German light and middle-weight trucks built by Opel between 1930 and 1975. The A4 class was designed by Sir Nigel Gresley. The locomotive holds the world speed record for steam locomotives (202 km/h). A very unique electric multiple units train from Switzerland. The train is known as "Roter Pfeil" ("Red Arrow"). An urban public-transit bus on a Saurer carriage 2 BOD-P and bodywork by the Tüscher company. Similar to the Ce 6/8 this train has the nickname "Deutsches Krokodil" ("German crocodile"). Mostly used for freight transport. A small electric locomotive constructed to allow maximal speed in curves. The Uerdingen rail bus or "Schienenbus" is a multiple unit train which was developed by the Waggonfabrik Uerdingen. The first omnibus of the Daimler Benz company combining a rear end engine with a forward control carriage. NoHAB AA 16 is a diesel electric locomotive. The locomotive is a European version of an American standard locomotive. 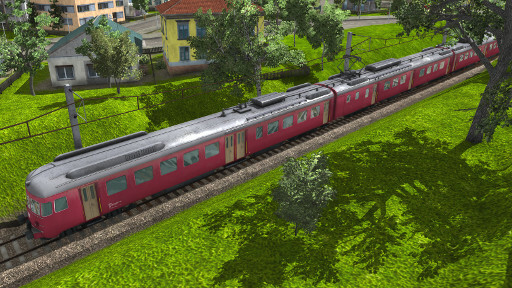 These Class V 100 diesel locomotives were produced in the late 1950s by the Deutsche Bundesbahn. 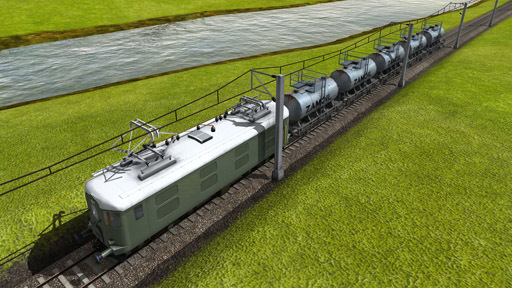 A three-part electric multiple unit with all-axel-drive and high power. Used for commuter traffic in Switzerland. 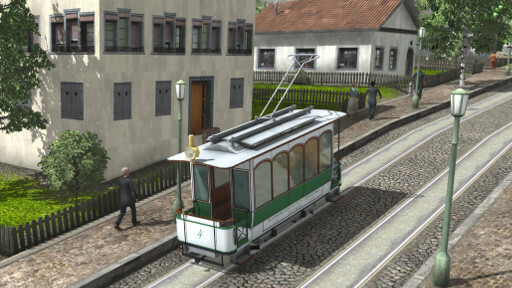 A common street car constructed by SIG, SWS. The "Mirage" was in operation for a long time in Zurich, Switzerland. This fast and heavy electric locomotive was the flagship of German rolling stock. 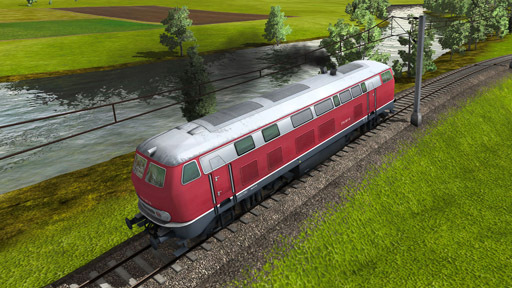 The Class 218 locomotives are 4 axle, diesel hydraulic locomotives acquired by the Deutsche Bundesbahn. Standard public bus, build in big numbers. Six-axle, electric locomotive made for heavy services, indentified with Re 6/6 in old numbering sceme. A commonly used truck built by MAN. The company is one of the leading providers of commercial vehicles and still exists today. 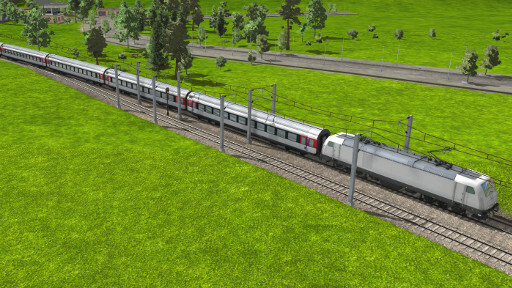 The famous high speed train operated by the French national railway company. The Berkhof Duvedec received many good reviews of car owners for their consumer qualities. This is a four axle electric locomotive, used for S-Bahn services. 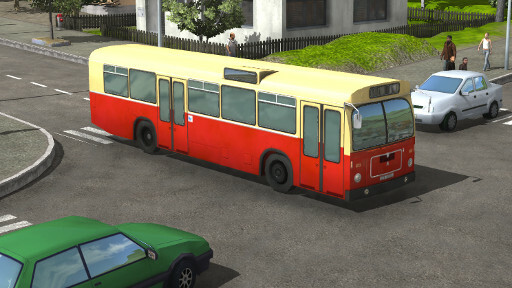 A rear-engine, low-floor single-deck city bus with chassis built by Volvo and bodywork by Säffle. 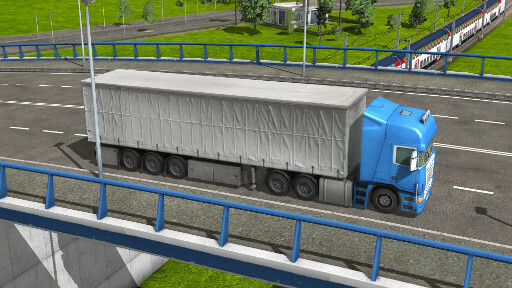 A six axle semi-trailer truck, equipped with a powerful V8 turbo diesel engine. 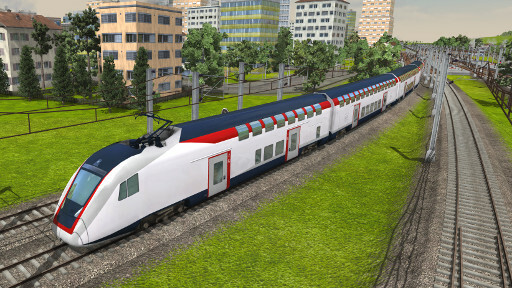 A modular product platform mainline locomotive from Bombardier Transportation. 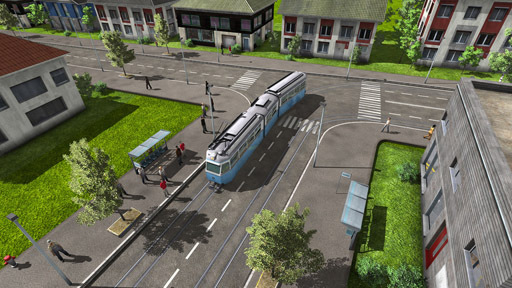 The first completely low floor tram runs through the city like a snake with its four joints. This gave it the nickname “Cobra”. A double deck EMU, built by Bombardier. Equipped with a tilting-compensation which allows to pass bends faster. I greatly enjoy the level of detail in this game. I can’t wait to play it. The quality so far is top notch for a small development team. Keep up the great work! This game looks awesome. I hope that you get to your 300 dollar goal! 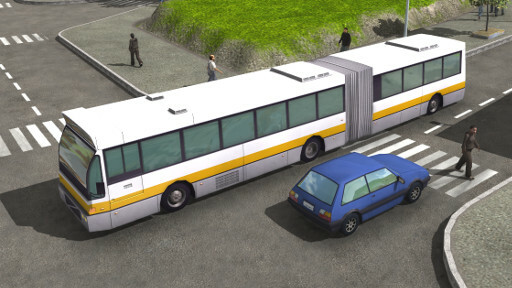 Good to see a proper transportation simulation game. 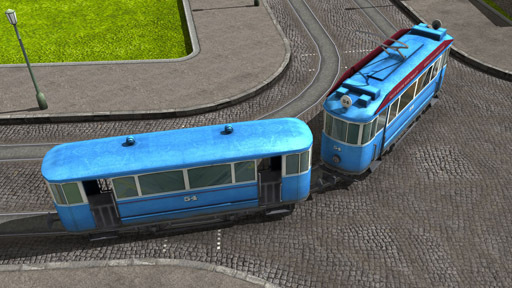 Both Open TTD and Simutrans are simply unrealistic and limited. Good to see progress. This project will be on my gaming, but not investment radar, because of my U.S. residency. 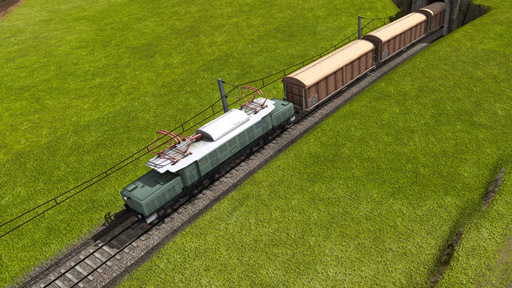 I hope that this project will not repeat the mistakes of Sid Meier’s Railroads or Transport Tycoon where trains would inevitably get lost unless they operated over dedicated tracks with no possible way to get onto another line. 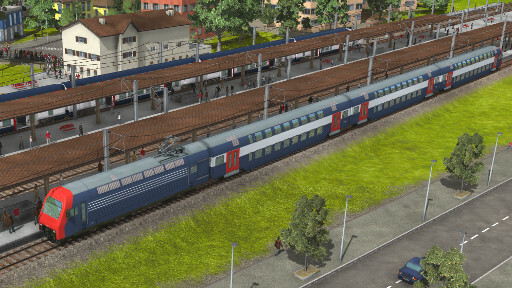 Another problem in Transport Tycoon was it’s tedious maintenance system and a problem in SMR was it’s overly quick passage of time required too many annoying updates of engines. Railroad Tycoon, all 3 versions, essentially avoided these problems. Trains never got lost, time frames were longer, 3 speeds of play were available and maintenance occured automatically along the right of way. Trains operate differently than other modes, in that trains have to operate over a limited fixed network of rails. They can’t use the same logic as motor veheicles, which usually have multiple roads to choose from. Boats and planes, of course, have even more freedom of movement. The graphics look outstanding. What about the economic model? 100 km/h was *not* a remarkable top speed for an express passenger locomotive in 1902. In fact, it would have been seen as rather on the slow side. By the 1890s there were already locomotives which could exceed 145 km/h. In 1904 it was claimed that the British locomotive “City of Truro” had exceeded 160 km/h, though this claim has been heavily debated since. However, 100 km/h would not be an unreasonable maximum speed in service, at least for lines with lots of curves, frequent stops, or limited signaling. I’m just arguing with the description’s claim, not the game’s choice for a maximum. I agree that trainfever needs multiplayer. I’m not buying it until then! Game looks good. Though if you guys manage to incorporate freight as a way to limit/grow city centres it could be the difference between a good game and a truly great game. 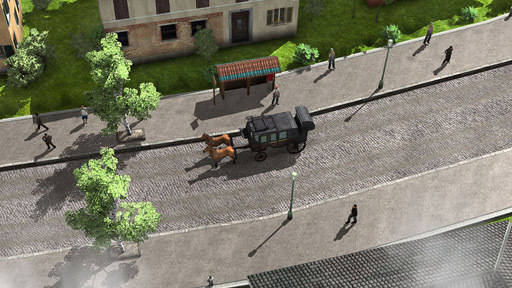 I just think a game going in the way you have depicted is too similar to Cities in Motion 2 to stand alone. 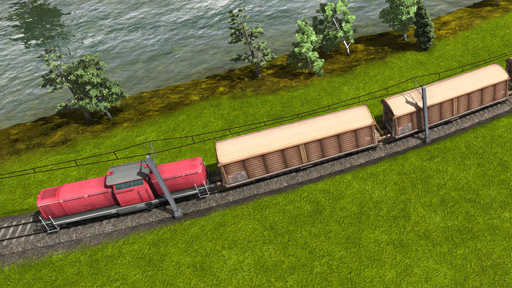 The freight of the good old Transport Tycoon would definitely set it apart. The engines look nice! But I hope you’ll make it possible to customize the livery to your company’s own colors. Possibly even multiple liveries for multiple service categories or generations. Maybe even a livery design tool DLC and a community options to share your livery designs (in addition to their complete vehicle designs, of course)? If you aim for the role-playing features, the company livery just cannot be ignored. 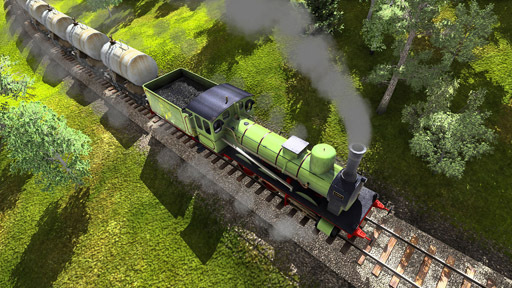 Also one minor nitpick: the SLM locomotive from 1902 is A 3/5, not A 3/5 705. The 705 is the number of the only surviving unit of the A 3/5 series. I am very happy that I found your site. 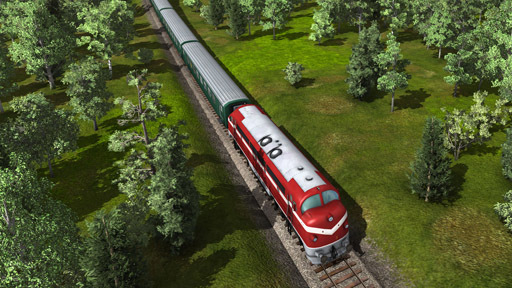 I have been waiting for years for an updated Locomotion/Transport Tycoon and it looks like I might have found it! Concerning vehicles . . . I love the Locomotion DLCs that have added American locomotives which have to be some of the most interesting engines ever built. How can you not love the incredible “Big Boy” or dual-engine “Centennials”. 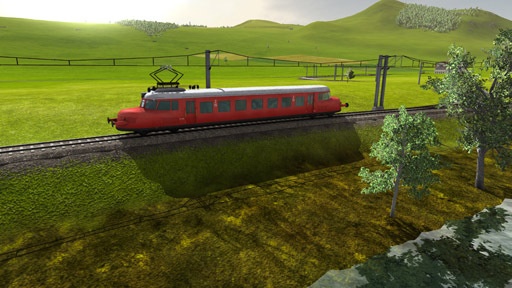 I hope you offer the ability to build different types of vehicles and detailed systems (signals, stations, RXR crossings, etc.) for at least Europe and North America. 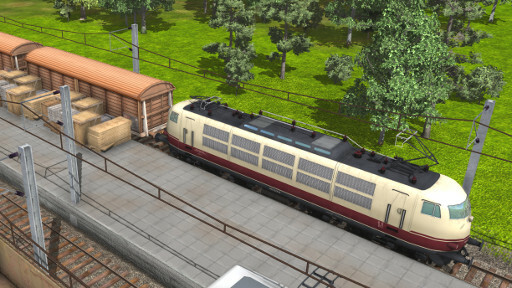 The one thing that I really hate about the vehicles in TT/Locomotion is the constant “breakdowns” and the tedious chore of finding your 1% reliability trains and updating the locomotives. 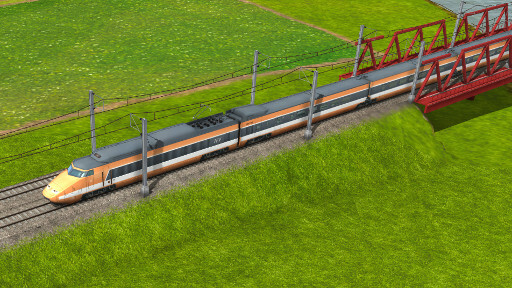 I would love to have the option to eliminate the breakdowns, or have some way of updated all trains when they reach 10% reliability, or have trains update themselves automatically. A new approach to the breakdown problem would be appreciated. ein paar mer züge wären cool . und ev das man auswälen kan von wälchem land man die züge möchte. Wird es auch Güterzüge für die Waren des täglichen Bedarfs geben, und wann kommt das Game endlich raus bin schon ganz hei…. ??? Sieht doch schonmal ganz gut aus. Allerdings würde ich mir ein paar Doppelstockzüge mit passender Lok, sowie IC-Waggons und passender Lok und die sogenannten n-Wagen (http://de.wikipedia.org/wiki/N-Wagen) und passender Lok wünschen. Ausserdem mehrere Busse von verschiedenen Hersteller. En… Maybe you can make some other-language’s information. This game could make the difference if it combines also cargo transports between industries or ports and even airports. 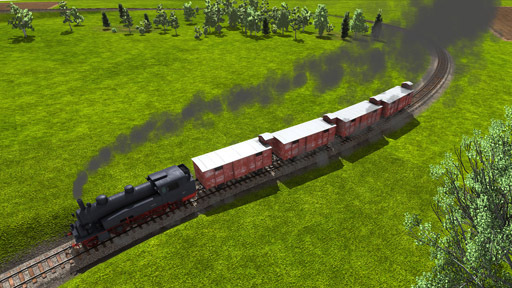 It would be really a great game if you could own a logistics company with all these trains. Awesome cant wait for the pre-order. 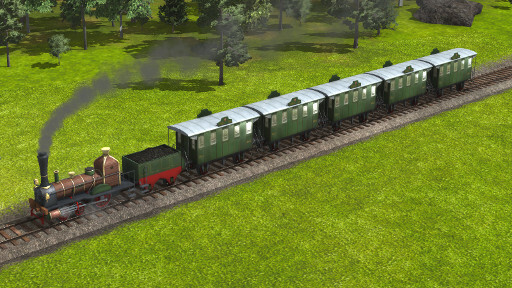 The steam locomotives are looking so detailed and beautiful, this could be the first transport tycoon where i let them operate on certain routes just because of the look. The vehicles are looking really awesome. Keep on working. The vehicles looks very nice. 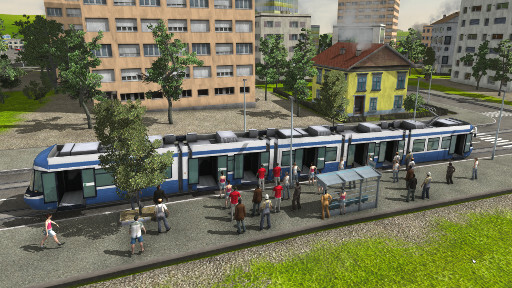 I hope you will implement some modern trains and trams too. Can’t wait ’till this game is released! 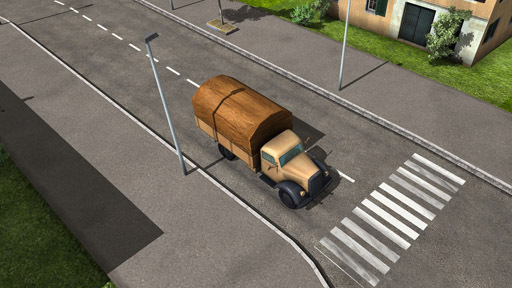 Been waiting for ages for a good Transport Tycoon replacement Looks absolutely wonderful! Yes, but it’s in late 1940′s/early 1950′s condition (fairings over the wheels removed, and in post-war LNER Garter Blue / BR Experimental Passenger Blue). I think the MAN from 1975 would rather have around 200 kW of power. Great level of detail building options. Man, this is going to be so great!! Hey, the car park will expand? If so, will any specific? Or we will see where applicable, Czech cars? 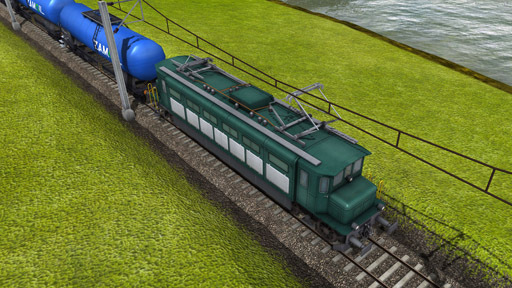 I’m in love; I can’t wait to play the demo and see the other locomotives and vehicles we get to work with! 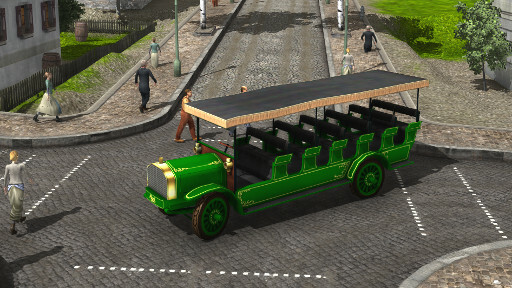 A trolleybus will? That would be great, you could think about it. 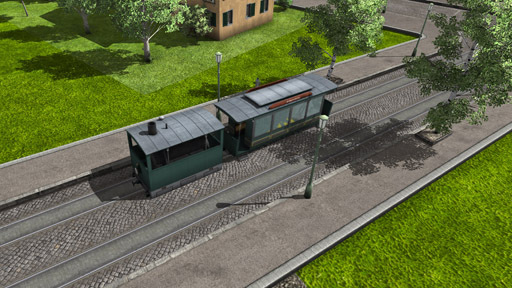 Trams could have trolley wires. Finde die Idee klasse, Nischenspiele wie TG oder IG spiele ich heute noch sehr gerne. Weiß man denn schon ob man produzierende Gebäude selbst bauen kann/ muss die Rohstoff/ Ware XY erzeugen um sie nach Ort XY zu transportieren oder ob man es (sehr) vereinfachen wird und einfach nur von A nach B fahren muss mit der Ware die man quasi automatisch bei A belädt? Weiterhin hoffe ich, dass es mehr als nur 32 Fahrzeuge geben wird – da man sich aber noch in der Entwicklung befindet gehe ich mal stark davon aus. Is this all the vehicles in the game? I’ve played all the way up to the year 2000 and to be honest, there aren’t quite a lot of choice for vehicles compared to the old Locomotion or Transport Tycoon games. 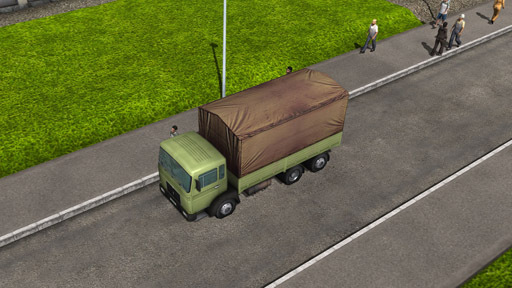 I hope more new vehicles will be added in the future. Is it possible for trams to run on railway track (if it is desired to have a reserved right of way for trams)? Is there a fully implemented sandbox mode with infinite money? Like Cities in Motion 2 for example? How I can update my game? Please send me link of all update. Looks great, watched youtube revision and bought it. I hope there are more vehicles when you reach 1975. Leider kommt die Dampflok-Ära viel zu kurz. Mit dem Erscheinen der Ae 4/7 gibt es keine Alternative zur Elektrifizierung. Dabei waren gerade die Dampfloks die Zugmaschinen der 20er bis 50er Jahre. Ich würde mir eine umfangreiche Fuhrparkerweiterung wünschen, die verschiedene Möglichkeiten zur Auswahl bietet. 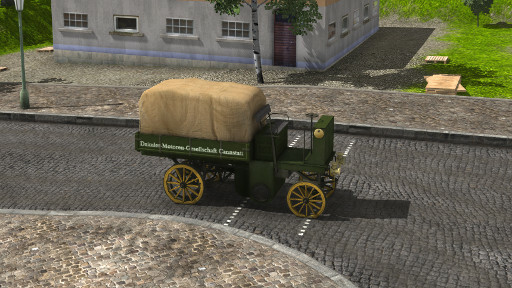 I’m in 1904 and i haven’t gotten the vehicles between 1901-1903. 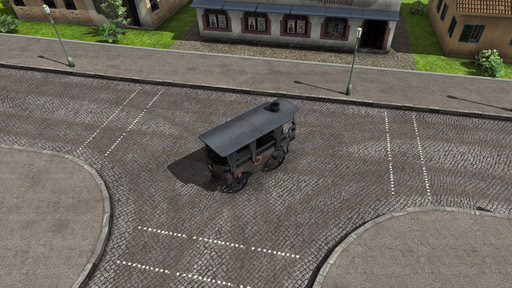 In a recent update, some vehicles have seen their apparition year being modified but it hasn’t been updated here. Don’t worry they will appear a little bit later. 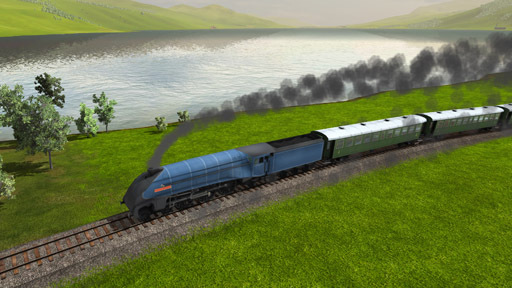 Liking the game so far, but longing for the train variety that was in Railroad Tycoon 2. I’m esp missing the EMD F3 series with the A & B units. 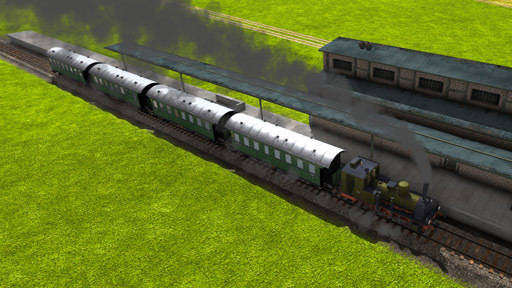 Hopefully the dev team adds more trains esp steam and diesel.